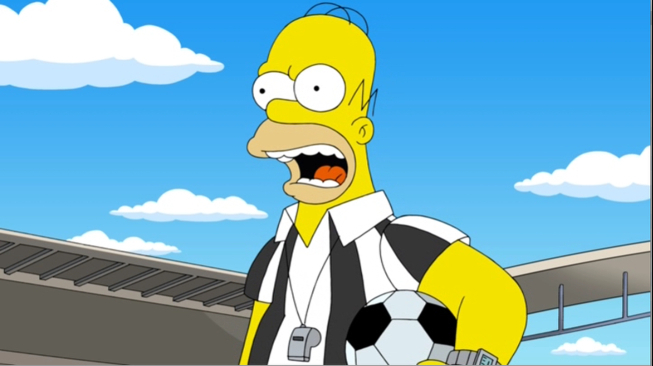 This file is from the "You Don't Have to Live Like a Referee" episode of FOX show The Simpsons. Its use is believed to qualify as fair use under United States copyright law. 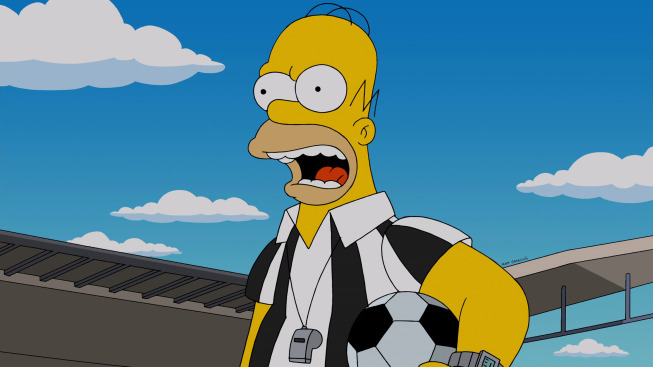 THE SIMPSONS: When World Cup Soccer executives hear Lisa speak of her dad's integrity, they ask Homer to become a referee in the &quot;You Don't Have to Live Like a Referee&quot; episode of THE SIMPSONS airing Sunday, March 30 (8:00-8:30 PM ET/PT) on FOX. THE SIMPSONS &#x2122; and &#xa9; 2014 TCFFC ALL RIGHTS RESERVED. Modified on March 22, 2014, at 11:41.